The director is the captain of the ship, someone who is responsible for guiding his cast and crew. Directors are also responsible for the camera angles, lighting, set design and various other aspects of film-making, of course with the help of various other specialists like cinematographer, set designers, music composer etc. Since a director is the most important person behind any films, his skills are critical to a film’s success. So, here is my list of the 10 most successful directors today. List is purely based on what impact their movies have had at the box office and the hype surrounding their next release. But since there are so many ‘talented’ directors in the industry, this list is purely based on their commercial success. I am not judging their talent or creativity here. 1. 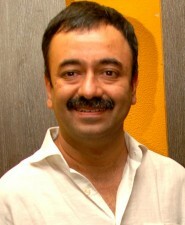 Rajkumar Hirani: He has directed just 3 movies but each one of them is a masterpiece in itself. Be it MunnaBhai MBBS, Lage Raho Munna Bhai or 3 Idiots, all films are arguably the most entertaining movies of the current era. His simple and perfect execution of the script makes him my top and most looked upon director at this time. Even Aamir Khan, who doesn’t repeat directors, has decided to work with him again. Waiting eagerly for Peekay. 2. Aditya Chopra: Although he is the one of the most powerful personalities in the industry today, the only reason why Chopra is at No 2 is because he very rarely directs. From 1995 to now, he has directed only 3 movies; Diwale Dulhania Le Jayenge, Mohabbatein and Rab Ne Bana Di Jodi. DDLJ is the mother of all modern day romantic movies. It’s the Titanic of Bollywood. Mohabbatein and RNDBJ were the 2nd biggest hits of 2000 and 2008 respectively, only behind Kaho Na Pyaar Hai and Ghajini. 3. 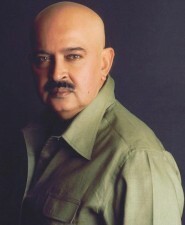 Rakesh Roshan: One of the most successful commercial directors in history, Roshan tasted success with his directorial debut in Khudgarz (1987). Khoon Bhari Maang and Karan Arjun were hugely successful, after which Koyla failed at the box-office. Since then every Rakesh Roshan directed film has done well at box-office; Kaho Na Pyaar Hai, Koi Mil Gaya, Krrish not only made him one of the biggest directors of recent times but were also the turning points in Hrithik Roshan’s career. Krrish 3, no doubt, has success written all over it. 4. Karan Johar: His very first movie, Kuch Kuch Hota hai, established him as a prominent director. With Kabhi Khushi Kabhie Gham, he managed to pull off a casting coup with biggest superstars from the past, present and future. He changed his track successfully with My Name is Khan and is now is set to direct his first non-SRK movie with Student of the Year. Looking forward to it. Can he recreate the magic of Kuch Kuch Hota Hai? 5. 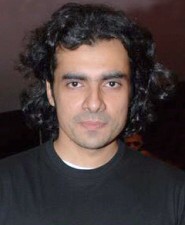 Imtiaz Ali: This man knows the pulse of the audience and has proved it with Socha Na Tha, Jab We Met, Love Aaj Kal and Rockstar. Each movie is unique and special. Ali is also one of the very few directors today who has achieved both commercial as well as critical success. Waiting to see what he has in store with his adaptation of 2 States. 6. 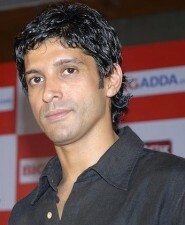 Farhan Akhtar: His movies speak for themselves. Dil Chahta Hai was a revelation, a game-changer. And while Lakshya failed to make a mark at the box-office, it’s one of Farhan’s best. With the success of the Don series starring Shahrukh Khan, he has shown his skills in all types of genres. Tweaking the Don climax, to take the series forward, was a great idea that worked. Farhan has also achieved huge success as a script / dialogue writer, actor and singer. 7. 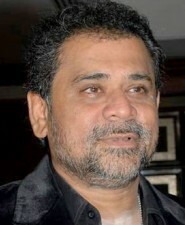 Anees Bazmee: Anees Bazmee started his career with Pyaar To Hona Hi Tha or Deewaangee. But the reason why he is one of the most successful directors today are films like No Entry, Welcome, Singh is King and Ready. These movies have been watched by crores of people in theatres and they have such huge repeat value that they are aired almost every week on Television. Sequel to No Entry is eagerly awaited. 8. 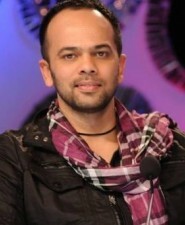 Rohit Shetty: Over a period of time, Rohit Shetty has become a force to be reckoned with. With the success of Golmaal series and All the Best, he proved that he has the skills to tickle the funny bone. 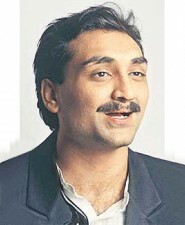 But the surprising part was the mega success of Singham which proved him to be an all rounder. Bol Bachchan is looking good and Chennai Express with SRK will be huge. 9. 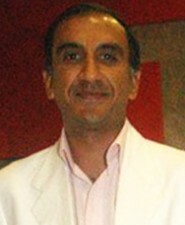 Milan Luthria: Milan has also been a part of the industry for a long time now. He tasted success early with movies like Kachche Dhaage and Taxi No. 9211. 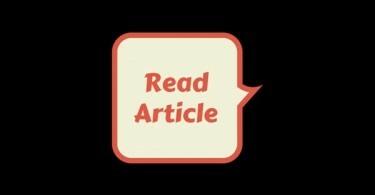 But recently he has peaked with the success of Once Upon A Time In Mumbai and The Dirty Picture. The sequel to OUATIM with Akshay Kumar looks like a sure-shot winner. 10. 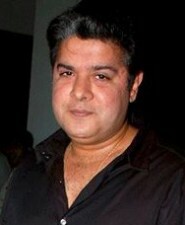 Sajid Khan: All 3 movies directed by Sajid – Heyy Babby, Housefull and Housefull 2 – have been hugely successful. Housefull came at a time when Akshay movies weren’t faring too well and same was the case with Housefull 2. He is now trying his hands in a different genre with Himmatwala. What makes Sajid special is his (over) confidence.. It takes guts to call your film a super-hit before release. Infact, he promised the entire cast of Housefull 2 their biggest career hits and delivered! I have excluded some great directors from the list because of the fate of their recent movies. Be it Sanjay Leela Bhansali (Saawariya & Guzaarish), Ashutosh Gowariker (Whats Your Rashee, Khelein Hum Jee Jaan Se), Prakash Jha (Aarakshan), Farah Khan (Tees Maar Khan) , Ram Gopal Varma (too many to list) and Rajkumar Santoshi. Also I am not considering veteran film makers like Yash Chopra, Subhash Ghai, David Dhawan, Priyadarshan, Sooraj Barjatya or Mani Rathnam. Please let me know if I am missing someone more deserving here. Also note, that this list is about the ‘most successful’ directors today and not ‘Top 10 directors’. Agneepath TRP: Blockbuster on TV! If you have excluded veteran directors like Ghai, Priyadarshan etc.. Why have you included Rakesh Roshan in the list? He started his career much before the likes of Priyadarshan or David Dhawan. Imtiaz Ali is my favorite in that list ! If it’s just commercial success, then how is Imtiaz Ali ahead of Sajid Khan? Where is Prabhu Deva who has given superhit like Wanted and blockbuster like Rowdy Rathore?? I like your list, but the order is not perfect since you are only talking about their box office success and not the quality of their films. Siddique and prabhudeva must be in the list. Rowdy Rathore is worst movie directed by Parbhu Deva.. without sense of indian ppl makes it blockbuster. @bodyguard, how much sense did Anees Bazmee’s Ready make to you? Seeing that you’ve included him in your Top 5, almost all of his movies have been worse than Rowdy Rathore, which I thought was very entertaining. Where is SURAJ BARJATIYA. . . . . .
SURAJ BARJATIYA is the history & father of bwood directors..! i like each and every one of these directors but it wouldve been nice to see siddique, priyadarshan, david dhawan and prabhu deva in the list. Siddique: I have not included because he has made only one movie in Hindi and that also became ATBB mostly because of Salman’s star power. PrabhuDeva: I have not included him because both his movies were scene to scene replicas of South blockbusters. Rakesh Roshan is very much active and his upcoming Krish3 is in huge demand unlike Ghai, Priyadarshan or David Dhawan. @indicine where is the most succesful director in india suraj badjatia in the list. He has directed 4 movies.